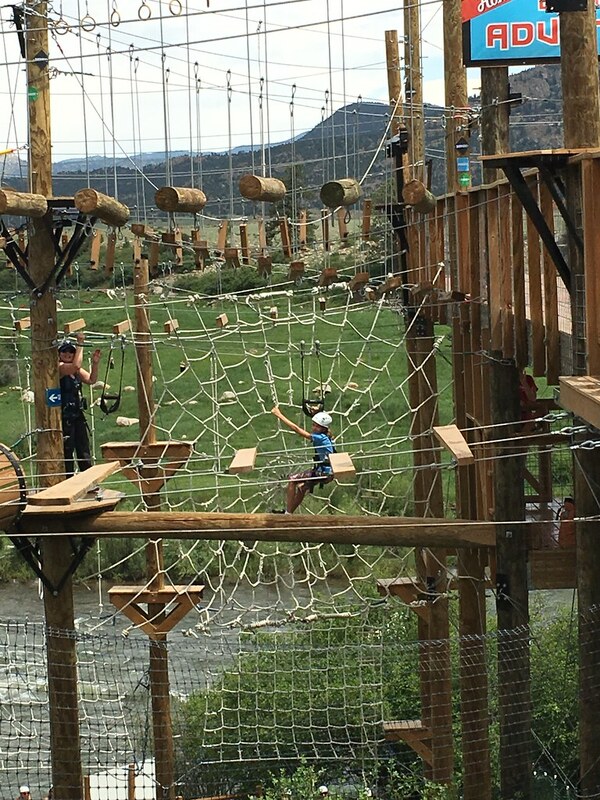 Just down the road from our cabin, there is a ropes course called Brown’s Canyon Adventure Park. It is a fun diversion right off the highway. It costs about $55 and takes 2.5 hours to go through the whole course. My kids love this kind of stuff so we made a morning of it. They have 6 different adventures/courses that you go through. You basically get assigned a guide that monitors your progress and helps you get through it all. Multiple groups are out there at the same time so the guides help with the scheduling. Reservations are recommended. You are strapped to the zip lines at all times with these cool 2 pronged leashes. 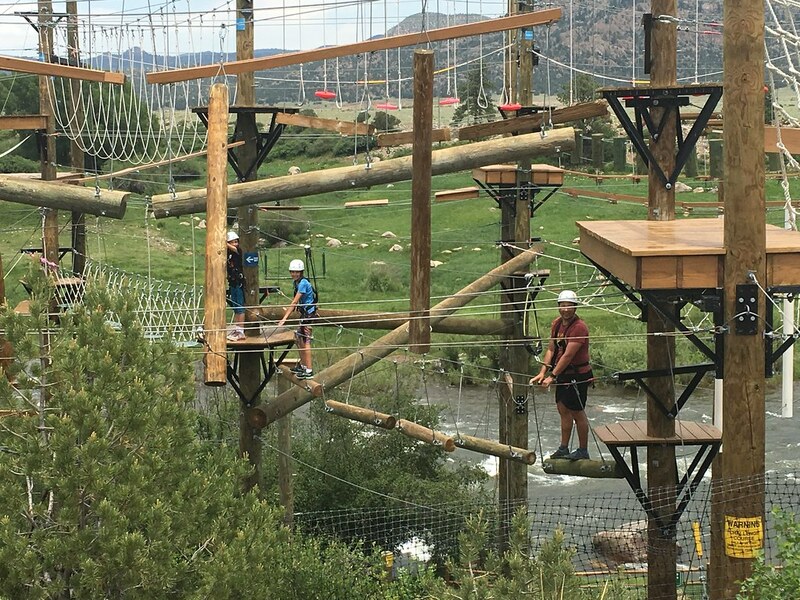 The device only lets you detach one leash at a time so your are always connected while you move through the course and change zip lines from up high. 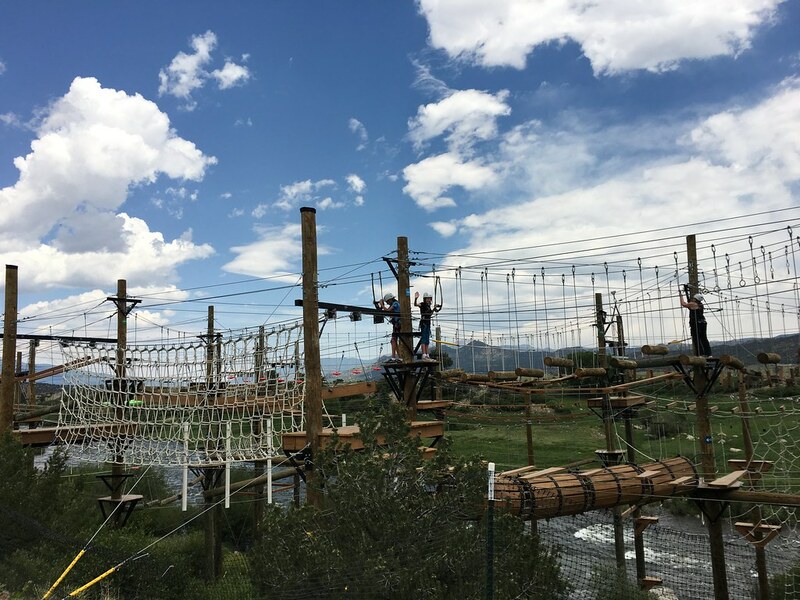 They had an attraction called “Leap of Faith” where you climb up a telephone pole, stand on top, then jump to a trapeze bar. 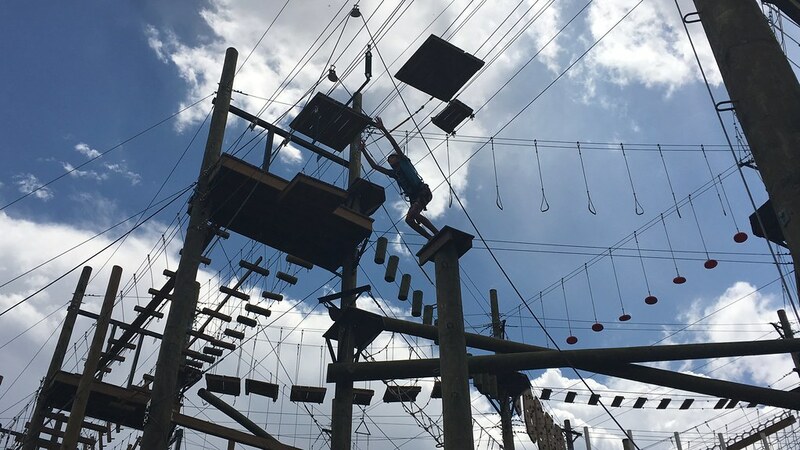 It wasn’t too bad but I am getting older and less trusting of heights. Unfortunately, Kayla did not weigh enough to go on this. 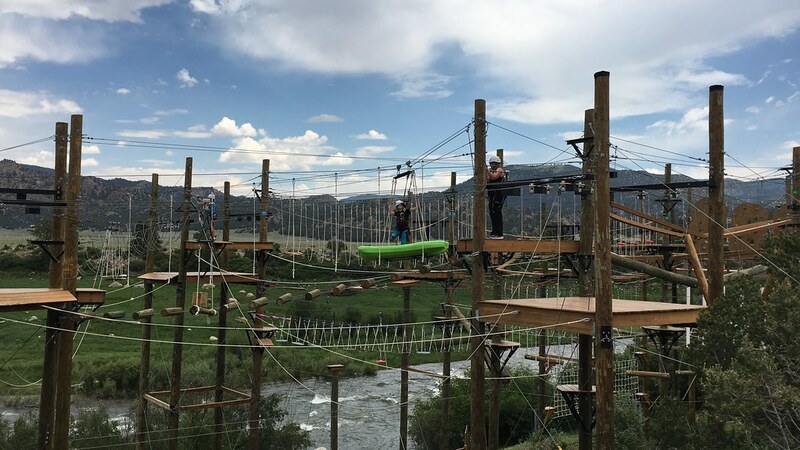 Minimum weights are required so you don’t get stuck mid zip line somewhere. And it was a bit tall for her. But she is ready to go back next year. We weren’t allowed to take phones in because they might drop and hurt someone below. But I shot some video from the side to give you a sense of the adventure. Cool activity!